Let the expert Delaware County movers perform your upcoming commercial or household relocation - anywhere in the world. We are the Delaware County moving company you can count on for comprehensive, cost-effective relocations based on your unique needs, whether you need to move your home, business, trade show or high-value goods. In addition, we provide a vast range of storage solutions for our customers. Delaware County Residential Movers: From packing and crating to third party services and storage, we can accommodate your every household moving need. Delaware County Commercial Movers: We minimize downtime and reduce errors for a cost-containing commercial move for any size business or facility. Specialized Moving in Delaware County: Utilizing our special handling, modern fleet and secure warehouses, we transport your high-value products safely and damage-free. Warehousing and Distribution in Delaware County: From the receipt and inventorying to the picking and distributing of your commodities, our warehousing and distribution process is streamlined. Delaware County Storage: Securely store and manage your records and files within our state-of-the-art facility with our exceptional inventory management. International Movers inDelaware County: Benefit from a worry-free, successful international move when you choose Simonik as your overseas relocation company. 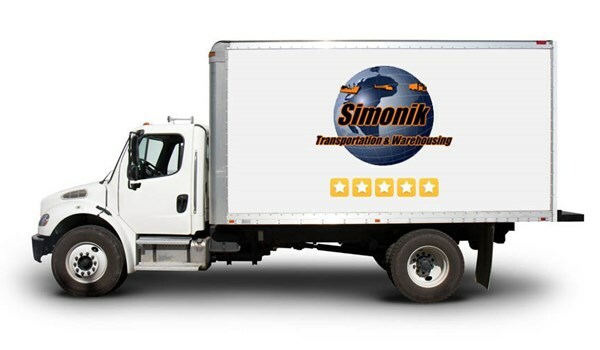 Choose us as your Delaware County movers, and let Simonik provide you with the best move you'll ever have. Contact us today to hear more about our Delaware County moving services. Fill out our quote form for your free moving quote right now and work with the New Jersey moving company who excels at relocation solutions for residents and businesses throughout this city and the surrounding areas.